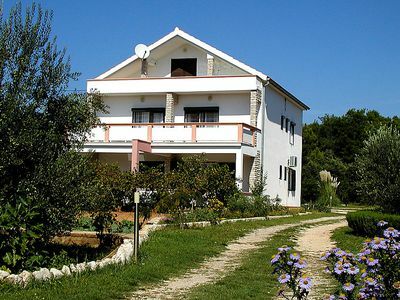 Island Getaway Villa Brentisa is a lovely two-bedroom villa located in Supetar on the island of Brac. Situated on the northern part of the island, it is the largest town on the island and acts as the main entry point to Brac from Split. 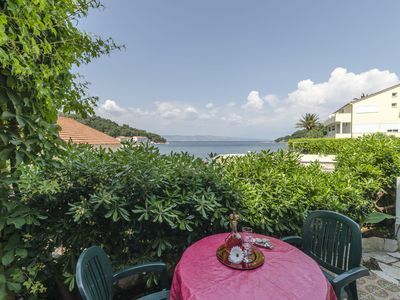 Supetar is exceptionally connected from the mainland with frequent ferries departing from Split and arriving at Supetar’s harbour which makes an excellent starting point for exploring the island. 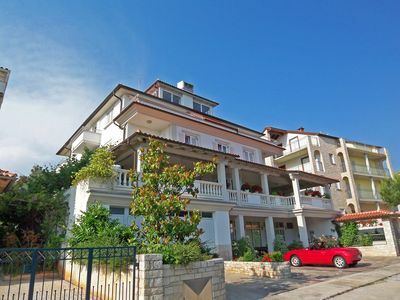 Supetar astonishes with its simplicity and beauty. 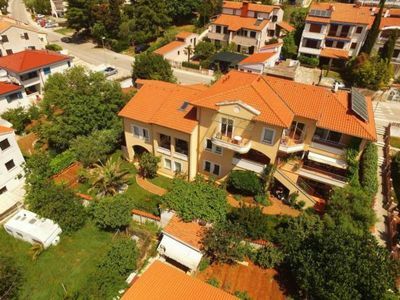 Fertile surrounding countryside with vineyards, olive groves and orchards, pine woods all along the coast and its beautiful and long sandy beaches make Supetar an excellent place to sample island’s rich cultural heritage and natural beauties. During the hot summer days, spend time at secluded coves with spacious pebble beaches where you can enjoy swimming or diving into the clear waters, sailing along the coast or retrieve yourself among the dense pine trees which give relieving shades. The town features many interesting historical and cultural sites such as the Church of the Annunciation with its clock bell tower, Ivan Rendic Gallery which exhibits many art works created by the famous Croatian sculptor Ivan Rendic who was born in Supetar and the local cemetery where you can see the remains of ancient rural Roman villas also known as Roman Villa Rustica which represented the ancient centre of Supetar. The harbour is an attractive place for experiencing the way of life on the island. It is backed by a small network of medieval streets lined with local restaurants and cafes where you can sit down, enjoy drinking coffee, eating delicious food watching the lovely view of the harbour and try blending with the locals. When you had enough of exploring Supetar, we encourage you to visit explore the rest of the island. 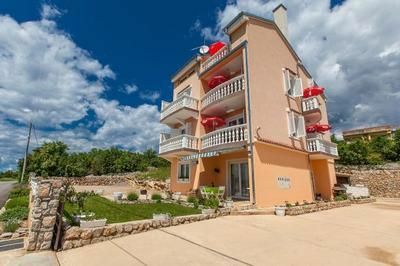 For instance, spend time on the iconic Golden Horn (Zlatni Rat) beach in Bol, sign up for a sculpting class at famous Croatian stone mason school in Pučišca or cycle along many cycling trails on Brač. 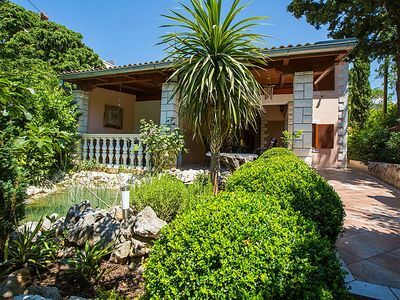 Island Getaway Villa Brentisa is a three-bedroom holiday home. 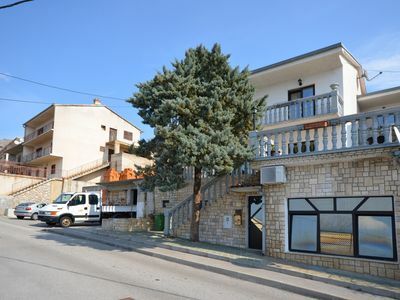 It is 90 m2 big and can accommodate 8 people. The whole house has two floors. There are stairs in the house which lead up to the first (second) floor. 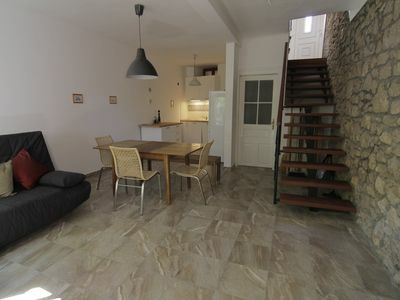 On the ground (first) floor, there is an open-floor living room, dining area and kitchen. The living room comes with a TV, coffee table and sofa bed which can accommodate two people. Next to the living room, there is a dining area with a dining table and chairs. Further from the dining area, you have the kitchen. The kitchen is fully equipped and comes with a stove, oven, microwave, fridge, kettle, coffee machine and all the needed utensils and cutlery. In the middle of the space, there is a white fireplace mantle which is put there only as a decorative feature. 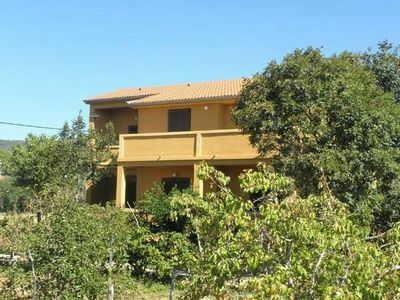 On the first floor, there are three bedrooms and two bathrooms. 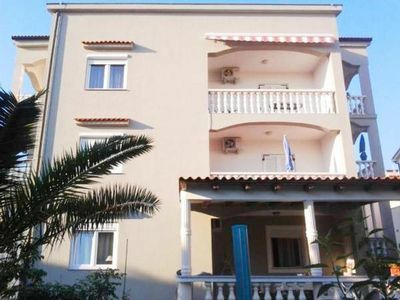 Two bedrooms comes with a double bed while one bedroom has two single beds. Each bathroom has a shower, toilet and sink. The greatest feature of the villa is its huge outdoor space. 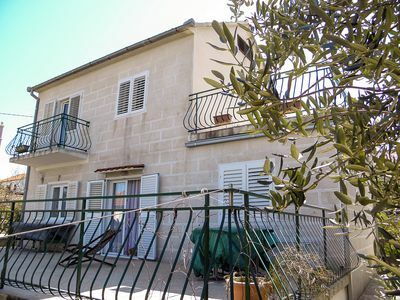 It includes a garden, two terraces and a balcony. The garden is 400 m2 big and comes with outdoor furniture where you can relax during the hot summer days. 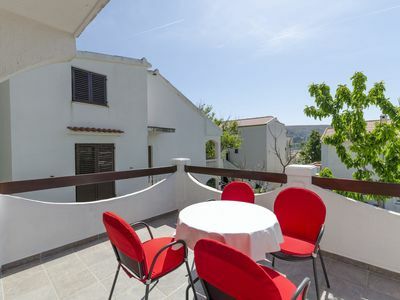 The first terrace is located on the ground (first floor) while the second terrace and balcony are positioned on the first (second) floor which can be accessed from each bedroom. 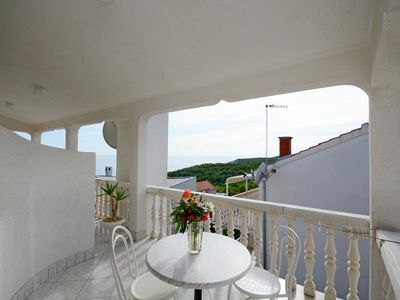 Both terraces and balcony are very large and offer the ability to sit and relax and enjoy having barbecues while watching the beautiful views of the sea and the surrounding neighbourhood. 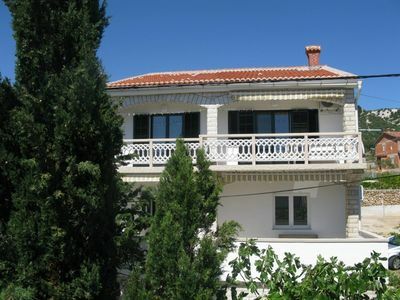 Villa Brentisa is located in Supetar on the island of Brac. The villa has its own parking space right on the premises. 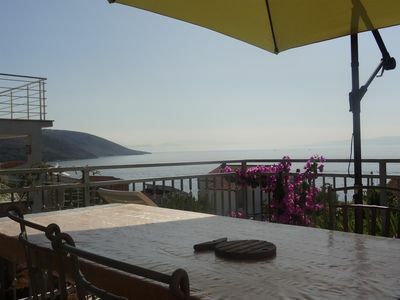 The nearest beach is located 600 m or a 7-min walk from the house. Supetar is well connected to the mainland with frequent ferries departing from Split and arriving at Supetar’s harbour. 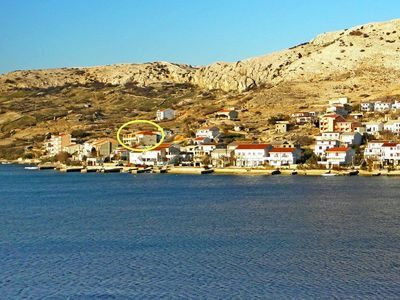 You can get to Supetar by foot or by car. 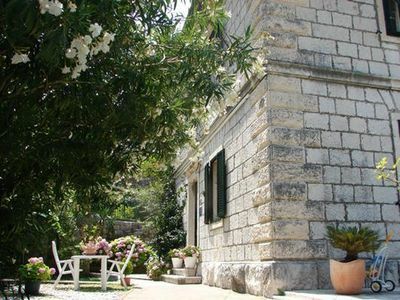 If you want to conveniently explore the town and island, it is recommended to have a car when coming to Supetar. However, if you are planning to explore the island without any vehicle, you can either travel by bus or taxi. Another idea would be to rent or take your bike with you and cycle along the island. Brac is considered one of the best places to cycle with great cycling trails that traverse the whole island. 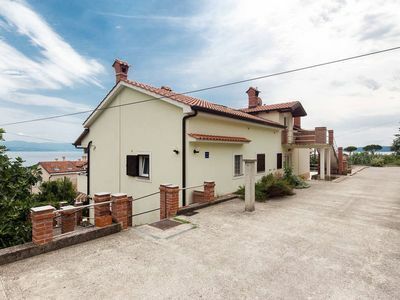 Detached old fisherman's cottage with garden, 100 meters from the sea.